The Java 2 Platform, Enterprise Edition, offers enterprise developers a simplified, component-based approach to creating applications for both intranets and the Internet. 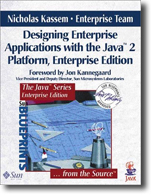 Created by the Enterprise Team of the Java Software group at Sun Microsystems, Designing Enterprise Applications with the Java(tm) 2 Platform, Enterprise Edition describes the application configurations supported by the J2EE platform and presents practical guidelines for determining the best design for particular needs. 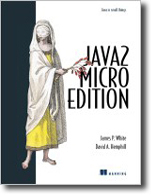 It explores web-based clients based on Java servlets and Java ServerPages, middle-tier solutions using Enterprise JavaBeans technology, and backend connections based on JDBC technology. It also presents security, deployment, transaction management, and other key issues for today’s applications. 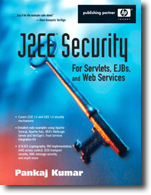 Using both smaller code samples and a full-scale e-commerce example, this book provides concrete guidelines to assist with mastering the features and benefits of the J2EE platform.